The above image from here. First there were governments then there are organizations! "Young people will have to learn organizations the way their forefathers learned farming"
Truly, it is a different world! In medical practice there was an era of the solitary reaper! In India, doctors would have to just complete their MBBS and with the help of well wishers or through Medical Representatives (who through their travel are aware of the good spots where clinics can be put up), the doctor would start a clinic and start counting the money! Is it that easy today?! Besides competition from individual medical practitioners, a doctor (new or old) will have to face competition from medical institutions. There are medical organizations competing to offer medical services to patients. And this is changing the way medical services are being delivered, thanks to the medical organization. Wherever you go ... there are organizations and more organizations. Peter Drucker is right in the above quote where he has indicated that it is now an organizational society. The post industrial society and the e-enabled society (internet driven or information society) is seeing a plethora of virtual and "brick and mortar" organizations. Life in organizations is not easy. It is not as in family (which is also an organization, in a way). The basic principle of life in organizations is ACCOUNTABILITY (which is not so very tight in families, ie., it is more flexible in families. There is scope for "free lunches" and poor ROI ie., return on investment in families. Come what may, normally families are always together - there is no sacking or leaving the organization). Besides accountability, there is the ROI factor in organizations. When organizational resources are being used for activities by individual(s) in the organization, inevitably there are formal and informal assessments of return on investments done. And it is this that makes life in organizations challenging. Why do people join organizations? Organizations refer to groups of people having a common purpose. At the very basic level, people join an organization to get money - for a living. This is the first level why a person joins an organization that pays him/her. Organizations provide jobs, and people need jobs. So people join organizations. There is no other easier way of earning money today. At a slightly higher level, a person joins an organization due to his or her qualification. There is a match between the joinee's profile and organizational need. For the services rendered, the entrant to the organization is paid a salary or provided a compensation. At a higher level, an ideological level, people join an organization inspired by the mission or purpose of the organization. Joining political parties, or NGOs or terrorist organizations (!) or even some commercial organizations that have a particular culture or inspiring purpose are such examples. Why do people start organizations? There are various motives why people start organizations. Typically, an unmet market need, visualized by an entrepreneur is the spark for the start of organizations. When the Indian Patents Act, 1970 came in to being (where product patent was not recognized in India, only process patents were recognized), many entrepreneurs smelt a market kill through reverse engineering and marketing branded generics. Cipla, Aristo, Alkem, Sun Pharma, Zydus Cadila etc are examples of Indian companies who grew on the foundation provided by the new market opportunity created by the Indian Patents Act, 1970. The game has however changed from 2005. Now product patents are recognized. Reverse engineering is getting progressively more difficult. So inevitably product innovations are getting to be more important. Marketability is also gaining higher importance rather than mere selling based organizations. The second need for starting organizations is the ego drive or power need. People like to have reportees. Individuals enjoy having people reporting to them, and having these reportees doing the organizational leader's bidding. These are the feudalistic type of organizations. 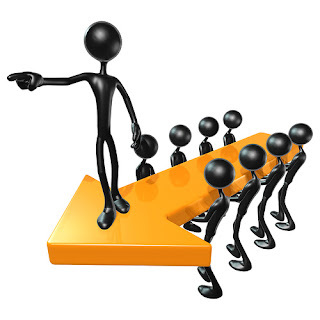 The financial control of leaders in the organization provides them with the power to have and control behavior of reportees. The third set of people who end up starting organizations are those who reach very high levels. Egs. : Bill Gates, Steve Jobs, and Michael Dell. They are the marketers. They create markets through their ideas and products. There are very few of them in this world, and they create organizations of maximum value. In fact, their organizations recast the business world. Their activities are paradigm shifts, their entrepreneurial and marketing work causes tectonic shifts in the business milieu. Their organizations change the lifestyle of people and the way of the society significantly. Steve Jobs is doing this with his i series of products: the i-pod, ... and now the i-pad. In fact, in the pharma marketing news (electronic newsletter) published by John Mack: he has written nicely on how the i-pad can revolutionize pharma marketing communication activity. Ray Croc who created the franchisee business model of McDonalds - changed eating behaviour of human beings particularly in USA!! He is the marketer's marketer!! Coca Cola that started as a product sold in pharmacies, has changed the way people quench thirst and consume fluids. The question to ponder on: do organizations create super products or do super product ideas create organizations or is it a mix of these two approaches? One thing is for certain, good product ideas require organizations. Nevertheless, for the organization which revolves around a good product idea to succeed, the MOST ESSENTIAL INGREDIENT is the marketing spirit. Marketing is not just about charismatic marketers (like Vijay Mallya or Steve Jobs or Richard Branson). Such marketing approaches that depend on the charisma of certain people will not be as effective as a marketing process driven organization. A typical company that is marketing process driven is the collossus GOOGLE. Contrast Google with the way Apple works. Apple appears to click only when Steve Jobs is around. However, GOOGLE is always clicking! Until recently or even now there are many who have not heard of Larry Page and Sergey Brin (the founders of Google). So the marketing process, ideas, great product concepts and then the organization ... these are the ingredients for success in today's world!! In India, till 1991, the Govt. was the most important entity. After 1991, the economic liberalization process started under the guidance of IMF, which bailed out a bankrupt Indian govt. After 1991, the importance of private organizations has slowly and steadily increased. The development of new media and increased educational attainments of Indians, has further catalyzed the process. Hence, to succeed in the organizational society of India, as Peter Drucker says, we need to gain important organizational management skills! Thnks for reading this blogpost, kindly scroll down and read all other blogposts, please recommend my blog to your acquaintances.